Four states -- Arkansas, Georgia, Kentucky and Texas -- held primary voting Tuesday, further setting the stage for midterm elections this fall, as well as making some history. 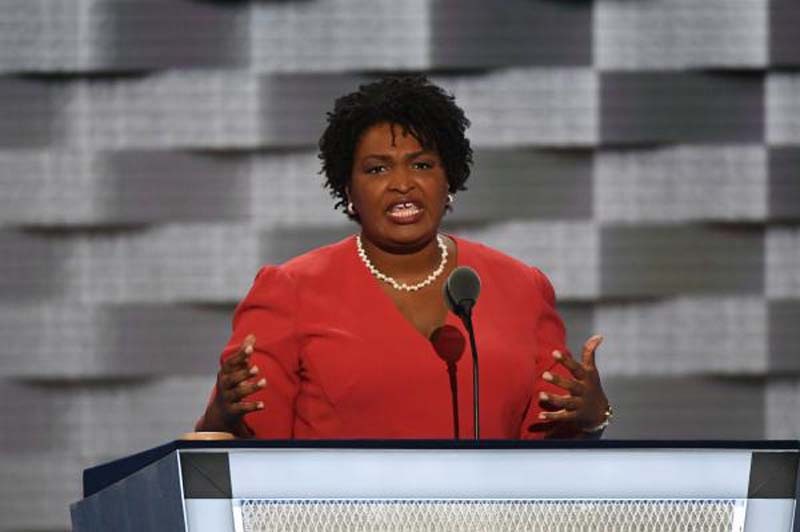 In Georgia, Stacey Abrams became the first black woman to win the nomination of a major party for governor. And in Texas, Lupe Valdez became the first Latina to have that opportunity. This fall, Abrams' Republican opponent will be either Lt. Gov. Casey Cagle or Secretary of State Brian Kemp. But Cage won 40 percent and Kemp got 25.6 percent, so they will compete in a July runoff to decide the GOP nomination for governor of Georgia. In Texas, Valdez, a former Dallas County Sheriff, won the Democratic Party nomination with 53.1 percent of the vote. She beat Andrew White, the son of former Texas Gov. who held the office between 1983 and 1987. Valdez will face incumbent Republican Gov. Greg Abbott this November in a state that hasn't voted for a Democrat governor since Ann Richards in 1991. "I am constantly hearing this is going to be such an uphill battle," Valdez told supporters in Dallas, according to the Dallas Morning News. "Please, tell me when I didn't have an uphill battle." Other key races in Georgia include the 6th District, where Democrats look to unseat Republican incumbent Karen Handel, who is seen as a weak opponent after narrowly winning a special election last year to little-known Democrat Jon Ossoff in a historically deep red Republican district. But Handel's opponent won't be decided until July when Tuesday's top two vote getters -- Lucy McBath and Kevin Abel -- compete in a runoff. McBath captured 36.5 percent of the Democratic vote, compared to Abel's 30.2 percent. In Kentucky's 6th District, Lt. Col. Amy McGrath, a former fighter pilot, won the Democratic nomination with 48.7 percent of the vote. She beat Democratic Mayor of Lexington, Jim Gray, who mustered 40 percent of the vote. Arkansas's 2nd District is one that Democrats hope to take away from Republicans by ousting incumbent Rep. French Hill. And the Democratic Party's nominee for the district will be Clarke Tucker, a cancer survivor who campaigned on expanding Medicaid. Tucker easily won the nomination by receiving 57.8 percent of the vote in the Little Rock-area district. In Arkansas' governor race, incumbent Republican Asa Hutchinson will face Democrat Jared Henderson, who won his party's primary with 63.4 percent of the vote. And in Texas, runoff elections were held from the state's March primary. In the Lone Star State, Lupe Valdez beat Andrew White by taking 53.1 percent of the vote.